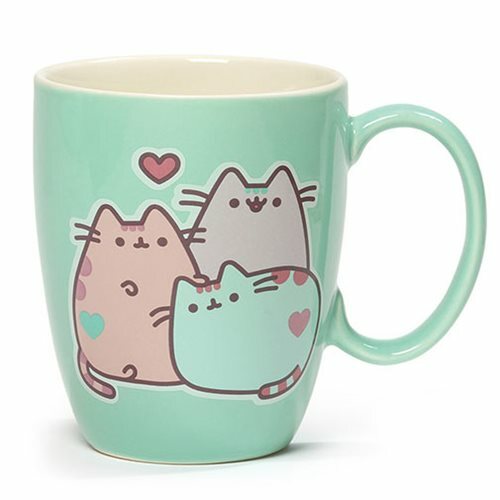 Start your day off right with this adorable mug —featuring three pastel Pusheens all sharing the love. The Pusheen the Cat Pastel 12 oz. Mug makes a great gift or the perfect addition to your Pusheen collection. Holds 12 oz of your favorite beverage. Measures about 5 1/4-inches long x 4 1/2-inches wide x 3 3/4-inches tall. Hand wash only. Not dishwasher safe. Do not microwave.